One April, a few years ago, I had the privilege of vacationing in Germany with my daughter. Everything I had heard about German efficiency was true, especially their public transportation and the Deutsche Bahn! Equally inspiring, at least to me, was the variety of desserts made with apples. 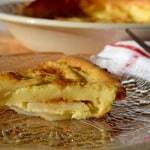 Like this recipe for a German Apple Pancake. I was very excited! More apple recipes to fuel my apple obsession. During our two weeks in Germany, I had apple strudel at least once a day (not my daughter… she’s a strange one), regardless of the meal. Back home, I continued this fascination with apple strudel. 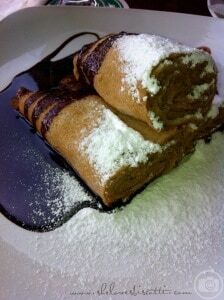 While researching recipes, I came across another German apple dish which caught my attention. 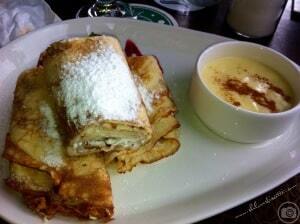 It is called panakuchen or German apple pancake. 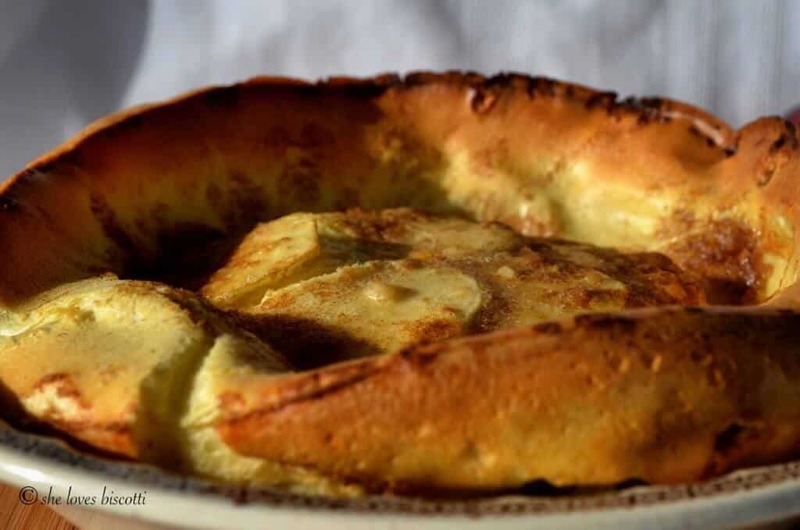 The original recipe that I used for German Apple Pancake can be found here. I’ve made a couple of changes to suit my preferences. This really is an easy and quick recipe to make allowing you to spend more quality time with your family at the table. Once you try this recipe, you will be amazed how high the eggs puff up. Unfortunately, the eggs deflate once out of the oven. From what I read about this recipe, this is normal. I used a mandoline in order to achieve thinly sliced apples. 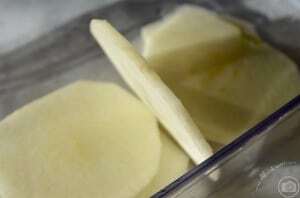 A knife is equally effective in achieving thin slices. My daughter described this dish as french toast with apples. I got mixed reviews from my family. Personally I enjoyed this dish, but then again, I am biased (you know, my apple obsession and all). 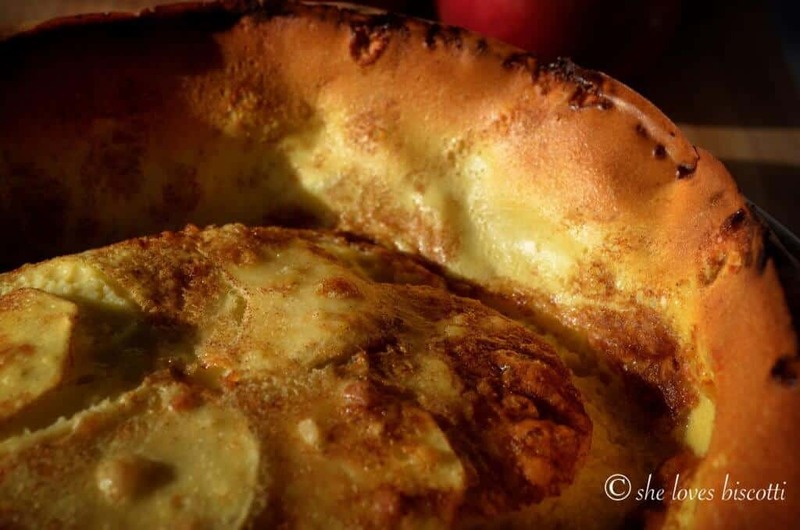 If you are tired of your standard weekend breakfast, you should try this German apple pancake. Let me know what you think. Are you tired of your routine weekend breakfast? 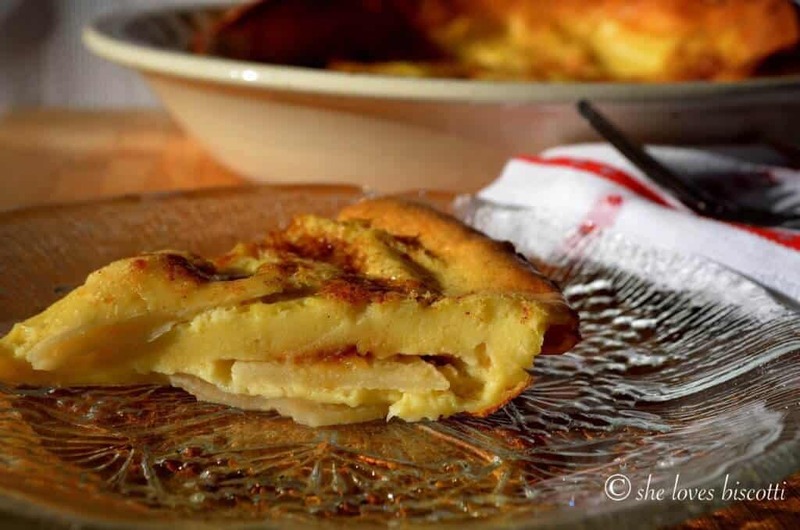 Try this super easy to make, baked German apple pancake. It has great texture, flavour and presentation. Preheat oven to 400℉. Position rack to middle. Place butter in oven proof skillet or a 10" pie plate. Place in the oven in order to melt and slightly brown. Whisk in the flour, milk, vanilla, oil, and salt until batter is smooth. 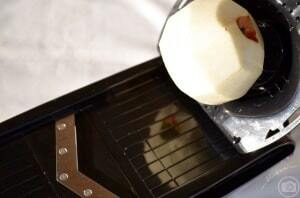 Remove skillet or pie plate from the oven. With pastry brush, spread melted butter around the bottom and along sides. 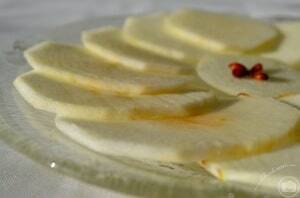 Arrange thinly sliced apples at the bottom of skillet or plate. Gently pour egg mixture over apples. Bake uncovered for 20-25 minutes or until golden and puffy. So good! I’ve made it several times and follow the recipe to the tee. Perfect on a snowy day. I tried a glass Pyrex so I could see the bottom and how well it’s cooked. I’ll let you know if it worked out.